And the award for new Oscar commercials goes to…Cadillac. The luxury automaker presented the latest installment of its #DareGreatly campaign with a “Don’t You Dare” message during the Academy Awards broadcast on Sunday night. The #DareGreatly campaign is based on the belief that achievers will always excel, regardless of censure or doubt. 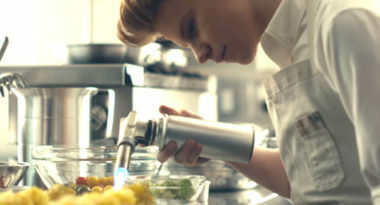 MediaPost.com shined the spotlight on Cadillac’s daring campaign. Cadillac launched the #DareGreatly campaign during last year’s Oscars broadcast with four ads introducing its CT6 full-size luxury car. This year’s ads were a continuation of the campaign created by Publicis Worldwide, but with a new “Don’t You Dare” message and showcase of Cadillac’s new XT5 crossover and the CT6 saloon model in four spots shown during the Oscars show, along with two before it began. This year’s ads featured eight young achievers in fields from science to medicine to food, including brain-powered prosthetic limb creator Easton LaChapelle, biotech prodigy Laura Deming, and national chess master Justus Williams, among others. In the ads, these achievers condemn mediocrity by repeating restrictive warnings about not daring to challenge the norm. By debuting the latest leg of a campaign that celebrates achievement during Hollywood’s biggest celebration of achievement, Cadillac drove home its message in a picture-perfect context. Watch for what’s new in advertising. Contact MDG Advertising.